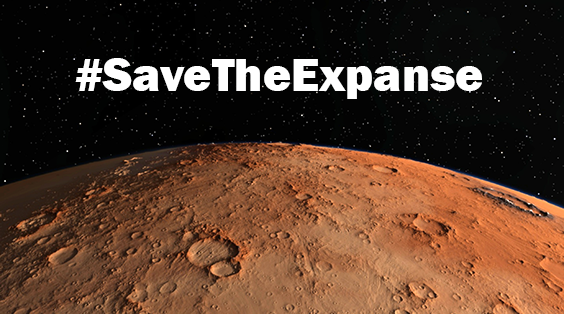 Together, we helped save The Expanse, the critically-acclaimed space saga that's been running for three years on Syfy. We look forward to watching season four on Amazon! If you wish to stay up-to-date on Museum of Science Fiction plans for The Expanse at Escape Velocity 2019, sign up below and thanks again for your support. This respectful depiction of STEM ideas, when combined with engaging story lines and diverse cast of memorable characters, makes this show a refreshing standout in the genre in which "hard" sci-fi can sometimes be too enigmatic to gain widespread popularity. Cas Anvar, who has brilliantly played Alex Kamal on The Expanse, was the special guest at our annual Escape Velocity sci-fi convention in 2017 where he greeted fans and spoke passionately about his role on the show. Mr. Anvar described how proud he has been to be a part of this kind of project which puts a lot of attention into getting the little details right, based on real science, to make the fictional world seem more believable.